A short youtube video from Lynda La Plante on why she wrote the book about the twenty two year old Jane Tennsion . 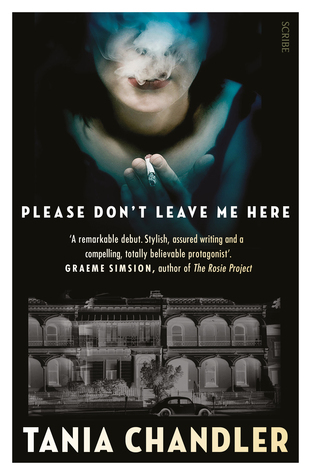 This has to be the scariest book cover I have come across in quite some time…that smoke blurred image that distorts the facial features of this photo, for some reason I find this very spooky- thankfully the book is not scary , it is …intriguing and very sad. This is a narrative of many mysteries, survival, and memory and how low self-esteem can really shape a person’s life choices and boy has Brigitte mad some very poor choices… as we reach the conclusion of this book we catch a glimmer of hope that Brigitte is perhaps about to make a good decision – the past being acknowledged as the past and maybe accepting/owning her own feelings and a truth revealed. Tania Chandler takes an addictive personality, low self-esteem, poor parenting and loss of memory and creates a very credible personality that is Brigitte. At each turn of the page you can understand why poor decision are made and empathise with the protagonist who is exploited and manipulated by even those who care for her. 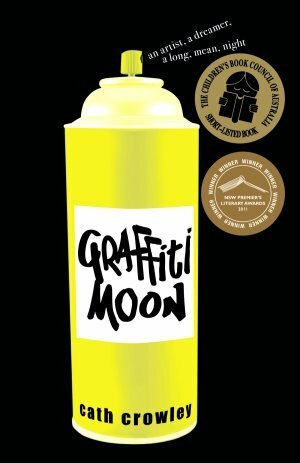 This is a grim, realistic story that ends with just a trace of optimism – or is that me looking for a positive outcome? Who knows…? 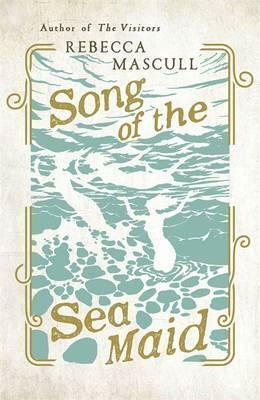 Tania Chandler has mastered the art of writing the unreliable narrator in this book. 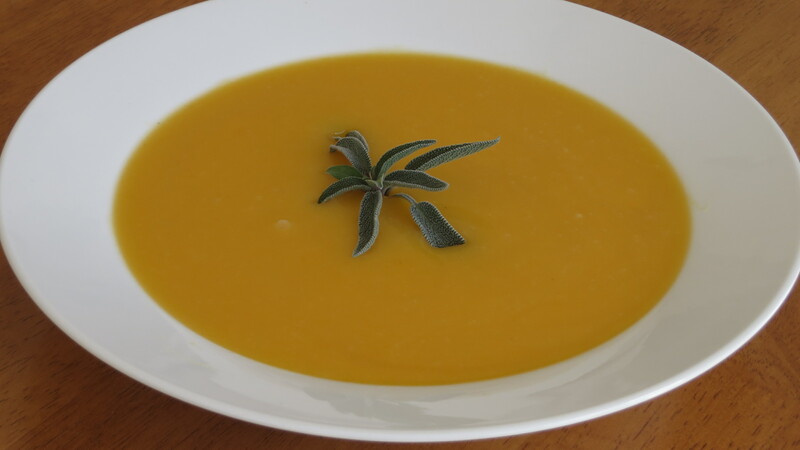 This is a very delicately flavoured soup – which is easy to make, combines spices I wouldn’t have dreamed of using in this soup and the outcome is a restaurant quality starter or lunch made at home! (I used home grown pumpkins, sage from the garden to decorate and home made chicken stock). 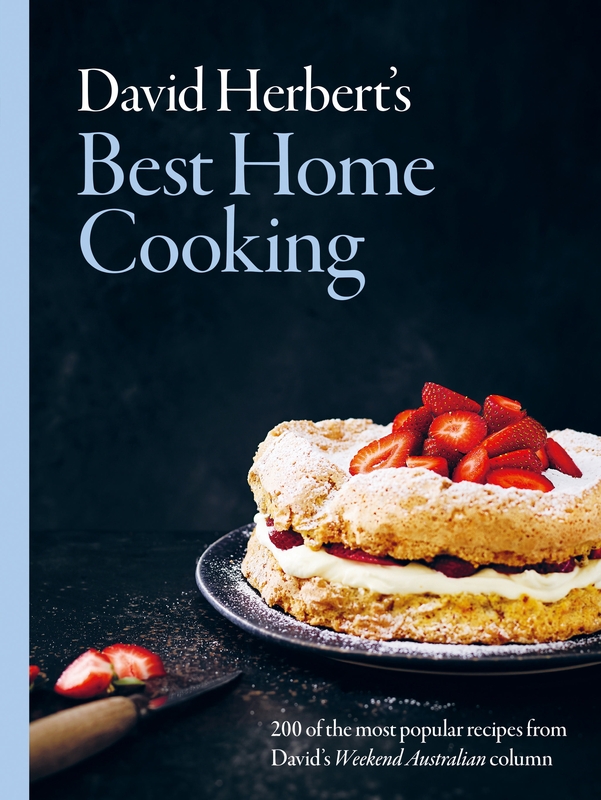 If you have pots of aromatic savoury jelly on hand you will never be without a fresh and lively accompaniment for roast meat, cold ham, something to stir through vegetables or to serve with cheese or use as a glaze before roasting or grilling. 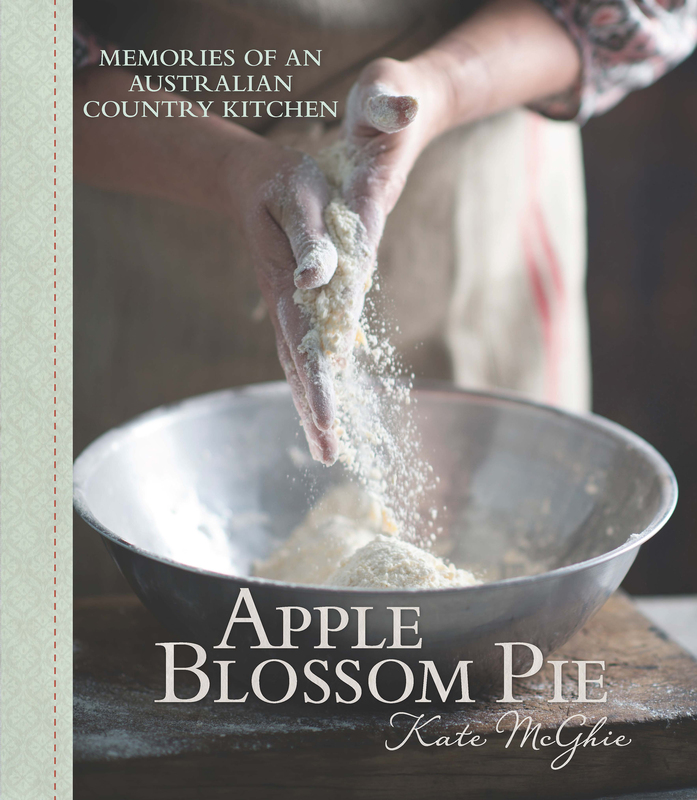 Apple and Sage Jelly Recipes and Images from Apple Blossom Pie by Kate McGhie (Murdoch Books). Chop the apple including the peel and core and put into a sturdy wide-based pan with the whole sage leaves, lemon juice and water. Bring slowly to the boil, then reduce the heat and simmer for 30 minutes or until the apples are pulpy. Squash the apples with a potato masher or wooden spoon to break up any lumps. Rinse a double layer of muslin (cheesecloth) in hot water and suspend over a bowl. Pour the apples and liquid into the muslin and let the liquid drain overnight. Do not press the solids or the juices will be cloudy; simply let the juices drip. Next day measure the reserved apple liquid (discard the pulp) and for each 1 cup (250 ml/9 fl oz) of liquid measure out 1 cup (220 g/73/4 oz) of sugar. Put both into the pan and stir over a gentle heat until the sugar dissolves. Increase the heat and boil rapidly, stirring often, for 20 minutes and then start testing for the setting point. Remove any froth with a spoon. 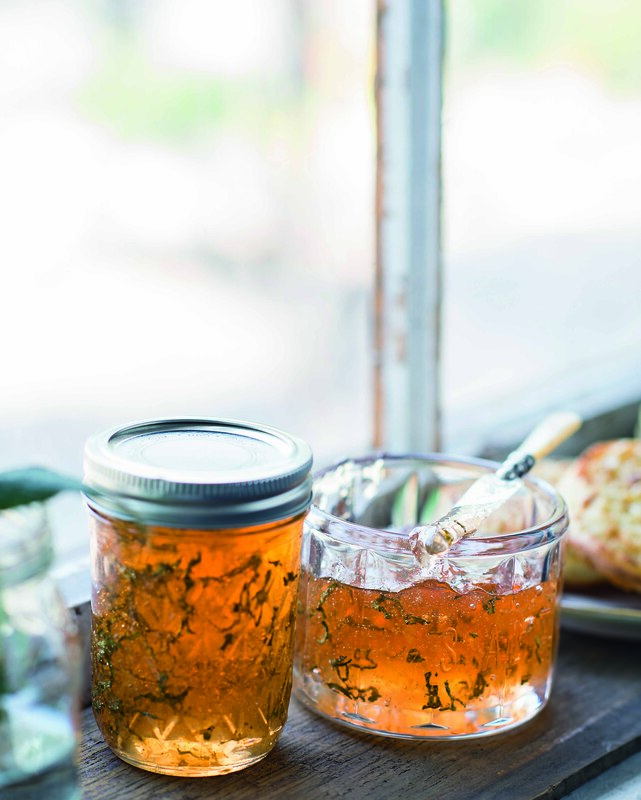 When you are satisfied with the set, add the shredded sage and stir gently into the jelly without making too many bubbles. Pour immediately down the sides of clean warm jars (to prevent bubbles) and seal. Turn the jars upside down for 2 minutes, then invert and leave to cool. Label and date the jars. Keep the jars in a cool dark place for 6–12 months and refrigerate after opening. Other fresh herbs such as small tender rosemary, mint, parsley, basil, savory, tarragon or thyme can be used. 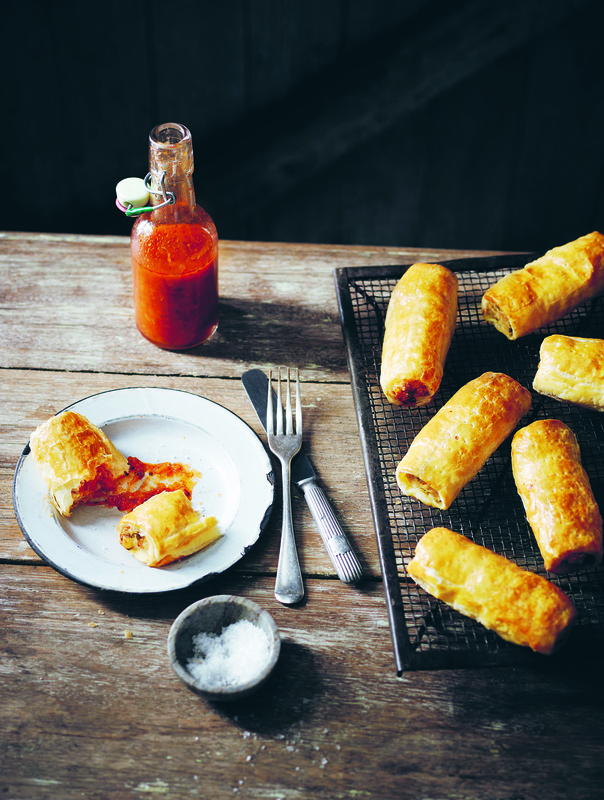 Use ready-made puff pastry to make these. To thaw the pastry sheets, lay them flat on baking paper at room temperature for about 10 minutes. 2. Brush one edge of the pastry strip with beaten egg and then fold the other over to enclose the filling. 3. Press down to seal with the back of a fork and brush with beaten egg. baking paper and chill for at least 30 minutes or until ready to cook. 4. Preheat the oven to 220°C (200°C fan- forced). 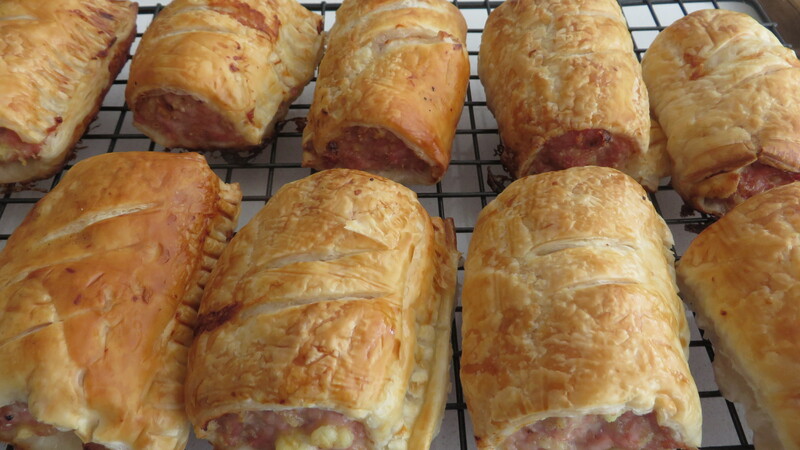 5.Bake the sausage rolls for 25 minutes or until golden. Serve warm with tomato sauce, if desired. As you can see these turned out perfectly – they were delicious and could easily be made for a lazy supper or served with some salad for a quick and easy meal. I will certainly be making these again.